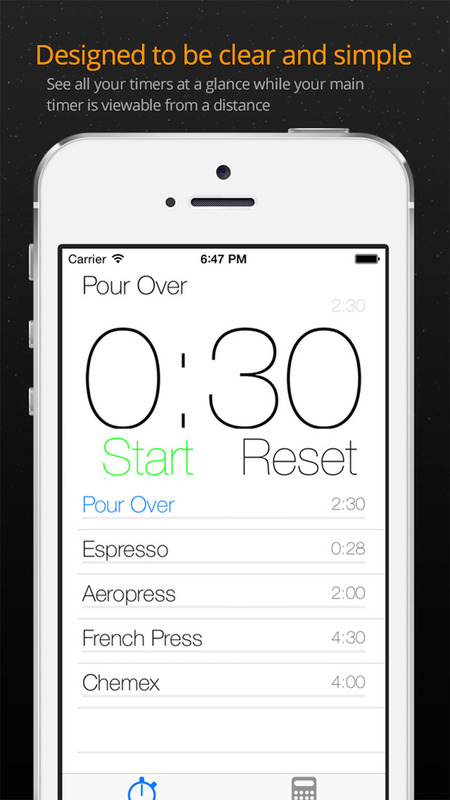 Coffee Clock lets you time your brew to perfection. Choose your brew and hit Start to start the countdown. Contact me via @kgleeson on Twitter.